Nowadays almost everything can be shared online and Sabahans can find out what happens in their hometown, even if they live overseas. Though the “e” generation youngsters declare that the newspaper era is “dead”, newspaper is still a more reliable source of information. Well, how much a 140-character Tweet and one-praragraph Facebook post can tell you? Their web site is simple and easy to use. 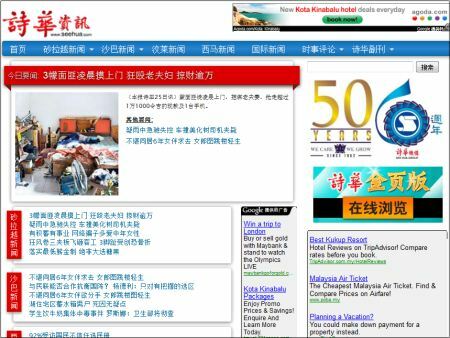 Their news is also available in Malay and Kadazandusun languages. During weekdays, usually they upload the latest news before noon. 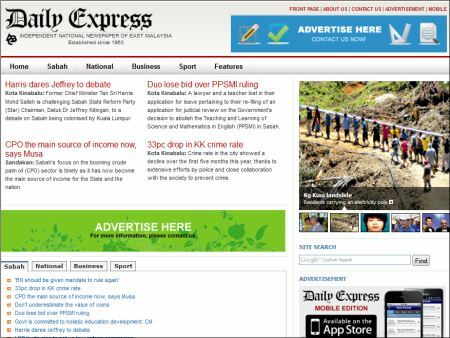 This is the most advanced news site of East Malaysia and offer the richest content. They cover news about Sabah, Sarawak and Brunei. 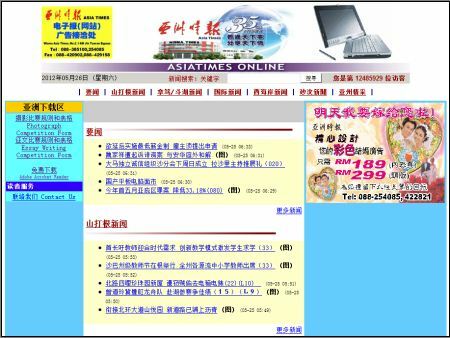 Their website is very well designed and the news sections are well-organized and easy to browse. They post more photos than other Sabah online newspapers, and the website is very “social media friendly”, which means you can click a button to share the news and even post comment. Besides English, they also have news in Malay, Kadazandusun and Iban languages. 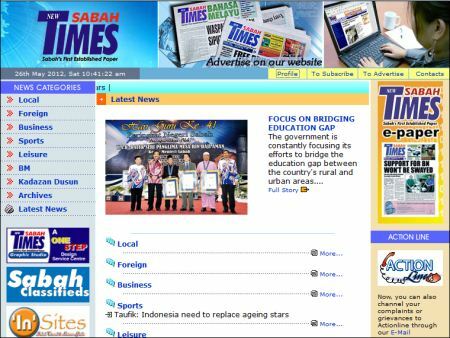 This is the first Sabah newspaper that goes online, but their website doesn’t change much over 10 years. Their online news isn’t as updated as other Sabah news site and the articles are in plain text, no photo at all, quite boring… They only post a handful of featured news online. There is no archived news for users to read older news. They have Mobile App for iPhone & Android. 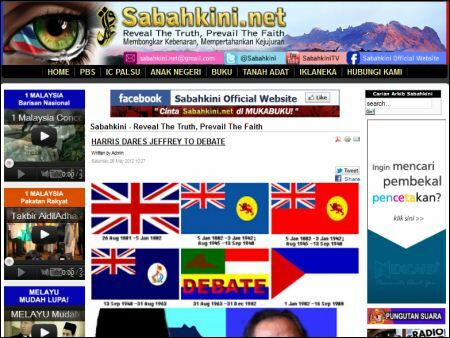 Also a pure online news (or blog), Sabah Kini is doing the opposite things to Insight Sabah, and they act like the Sabah version of Malaysia Kini. Sabahans who are sick of the political propaganda in mainstream media can breathe a bit of air of freedom here. The story behind the news is even more interesting, so they always reveal the scandal, nepotism and corruption in Sabah government. Sometimes their Photoshopped photos about politicians make me laugh. However, many of their news are not backed by proven fact and evidence, so they sound more like rumors and gossip in coffee shop. That’s why they are controversial and a magnet for lawsuit. You need to use your intelligence to judge whether their reports make sense, and sometimes they do give you an answer that newspapers try to hide. 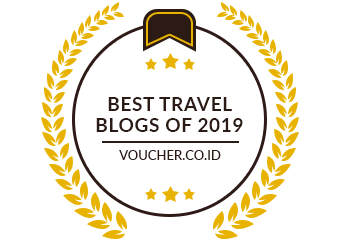 Their blogs are in English and Malay languages. 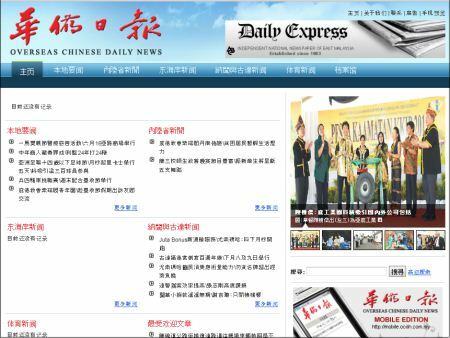 Sabah also have a few Chinese newspaper websites but their news is usually slower than English newspapers. 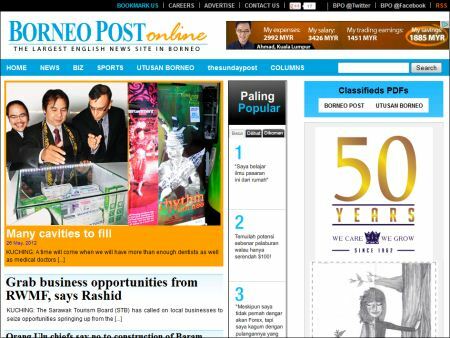 This newspaper is under Borneo Post, and their website is also the best online Sabah (and Sarawak) newspaper. This newspaper is under Daily Express. They only feature dozens of news every day. I wish they will do more, as many people say that their Chinese news is outdated compared to other local newspapers. Some call it “Oldman newspaper” b’coz it is the first choice for locals to post obituary. A low budget news site. What I like is they post current news and archived news on same page, so it saves my time to look for both new and old news. Most Sabah newspapers are printed at West Coast, and the newspapers are sent to cities of East Coast by plane. Normally, people in East Coast get the newspapers after 10am. Therefore, “city newspaper” finds an opportunity b’coz most people want to read newspaper during breakfast. 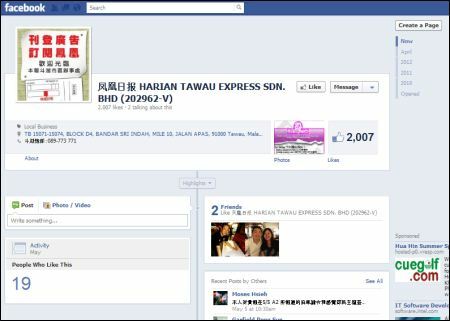 One of them is Harian Tawau (凤凰日报) of Tawau city. I can’t comment much b’coz I live in West Coast and don’t read this newspaper. They don’t have a website but they have a Facebook fan page. Mainstream media and newspapers are controlled by the corrupted government, and most newspapers practiced “self-censorship”. Compared to neighboring countries such as Indonesia and Philippines, we rank very low in media freedom. We are not living in North Korea. Citizens have the right to know the truth and make their voices heard. Sadly, what I read every day on newspapers are monopolized by those arrogant politicians who treat us like 3-year-old kids. Above: a photo I took in a KL exhibition. 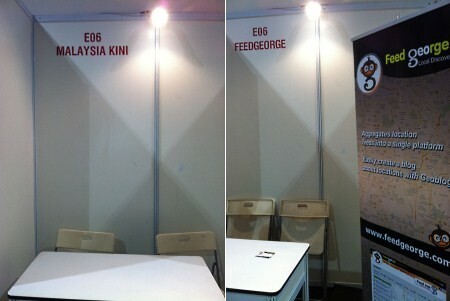 There should be a booth for Malaysia Kini, then it was gone and replaced by another company. May be the organizer was pressured by the government?